Brightspark State of Mind is a Podcast that takes you inside the world of a modern venture capital firm, through a series of interviews with Brightspark’s venture team, portfolio company founders, and community partners. We share our unfiltered thoughts and insights for tech startup investors, explore the journey and growth of startups, and discuss the latest disruption in the Canadian tech scene. Today’s episode: In a thriving tech ecosystem like Canada, finding great companies to invest in isn’t the challenge - finding those deals before anyone else is. In this episode of the Brightspark State of Mind Podcast, Alex and Éléonore discuss finding and creating proprietary deal flow, and the importance of relationships in venture capital. Alexandre Cabrejo-Jones | Alex is a member of our Investor Relations team at Brightspark, where he ensures our investors get the information, support, and guidance that they need. Alex has over 5 years of expertise in business development and financial services. Driven by his entrepreneurial spirit, Alex has co-founded numerous initiatives of his own. He currently heads all finance operations and was part of the founding team at Les Marchands, a modern, craft ice manufacturer and distributor that elevates the cocktail experience. 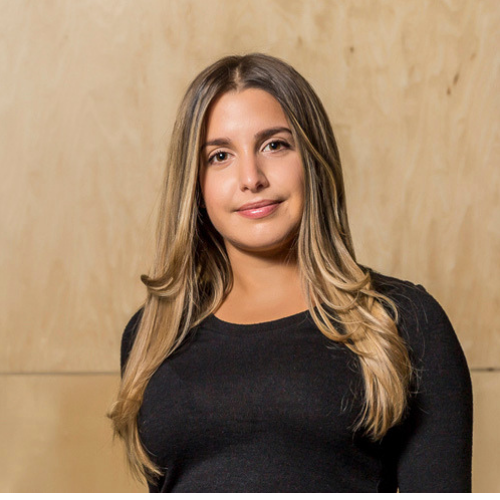 Éléonore Jarry-Ferron | Éléonore is a member of the Venture team at Brightspark, where she spends most of her time finding the next great company to back. She’s a financial and due diligence machine, and a key voice in the investment decision making process. Before Brightspark, Éléonore worked at Ernst & Young LLP, focusing on alternative investment funds and private equity firms. She is the co-founder of Front Row Ventures, Canada’s first student-run venture capital firm. Alex: Today, we’re talking about proprietary deal flow, and how investors obtain it. Joining me to discuss this topic is Éléonore, who is part of Brightspark’s venture team. Éléonore: Hello everyone, I’m Éléonore - I’m part of the venture team at Brightspark and I joined the team two and a half years ago. I’ve been following Sophie and Mark since almost the beginning of the new model, and I learned a lot from them. I’ve had a lot of different roles at Brightspark during those years and recently, I’ve been entirely focused on the investment side of the business. A big part of my role is to source investment opportunities. I meet founders, I make sure the Brightspark brand is well-represented in the VC community, I spend a lot of time looking at markets, doing due diligence on potential investments, and supporting the partners with the investment process. And finally, the venture team’s job is to spend lots of time with our portfolio companies post-investment. We support the companies and their founders, and make sure they have everything they need to thrive. Alex: As someone fairly new to the industry, how did you create your own personal brand, and more importantly – how did you create your own deal flow? Éléonore: That’s a really good question. I think that getting deal flow is actually quite easy and we do get tons of inbound requests from entrepreneurs. But getting good deal flow – proprietary deal flow – that’s the real challenge. 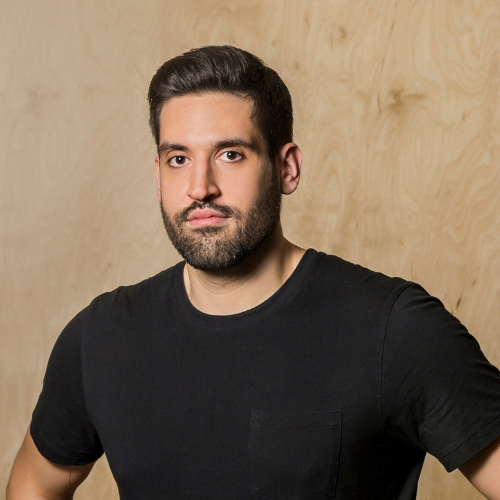 Alex: On the topic of the startup/VC ecosystem, I think there is a big rise in the number of events (pitch competitions, demo days, we just had StartupFest in Montreal a few weeks ago, and there’s Elevate Toronto coming up in a few weeks). Are events a good way for investors to get good deal flow? Éléonore: The answer is yes and no. The rise of events is a great sign that the ecosystem in Canada is maturing, and that more and more people interested in startups and venture capital. That’s great. And while events allow investors to meet companies and make sure all of them are under their radar, I don’t think it’s necessarily the best way to get proprietary deal flow. Mostly because many other investors are also at those events. I see events as a great way to catch up with companies. We track entrepreneurs closely, and when we invest in a company, it’s after having spent 2 to 3 years building the relationship with the leadership team. We invest in people first, so we really want to make sure that we can trust them, and that they are the right people to build their companies. We need multiple touchpoints before making an investment decision, and in-person connections at events are great for that. Importance of relationships in venture capital. Alex: Something we always hear about VCs is the importance of relationships. Whether it’s with other VCs, or angel investors, incubators, accelerators all the other members of the ecosystem. What’s your take on this? Éléonore: You couldn’t be more right. Venture capital is entirely a business of relationships, and I think that building great bonds with people that you trust and want to work with is essential to getting good deal flow. In VC, your reputation is everything you have. As investors, we are always selling ourselves to potential co-investors, selling ourselves to entrepreneurs – always making sure that our brand is well-represented in the market. Our golden rule? Just be a good person. One of the things that a mentor taught me is that in every relationship, you need to make sure that you create more value than you take. What does that look like? It’s the difference between just showing up to events, and making valuable introductions to people – actually building the community. When talking to entrepreneurs, it’s not just about asking questions to make an investment decision. It’s easy to simply have a conversation, but when you bring opinions to the table, that’s where you add value. Here’s an real-life example of how strong relationships can pay off: Brightspark recently invested in BuyBack Booth, and as some of you might know, Sophie had formerly invested in Tony (BuyBack Booth’s founder and CEO)’s previous company when she was working at la Caisse de Depot et Placement du Quebec (CDPQ). Tony remembered Sophie as one of the best investors that he ever had, and Sophie trusted Tony as an amazing entrepreneur. When BuyBack Booth was ready to raise money, they came to Brightspark first, and we were able to have exclusive access to the round, beating every other investor in Canada to the punch. Alex: Could you summarize what your day-to-day work looks like when it comes to deal sourcing? We also closely track VC activity. I spend a lot of time in databases like Crunchbase, CB Insights, and Pitchbook, finding Seed companies that will rise to series A – our investment sweet spot. We’re extremely proactive about reaching out to those companies. A lot people think that good VC deal flow will magically come to you, that’s totally false. The best strategy is to go out and find it yourself. I send a lot of emails to founders and other investors to get intros to the companies that we want to meet. Expanding my time and bandwidth to make sure that we are involved in different activities that generates deal flow. For example, I spend a lot of time on an initiative that I created a few years ago called Front Row Ventures, a student-led venture Fund that backs student entrepreneurs out of universities and that are building exciting technologies. I do this because I’m passionate about it, and think that it’s necessary to create good deal flow in the VC ecosystem across Canada. Alex: How would you say that Front Row Ventures creates deal flow opportunities for Brightspark Ventures? Éléonore: I can share a concrete example: Front Row Ventures was the first investor in a company called InVivo AI and Brightspark recently invested in the company as well. I had worked with the founders for many years before even thinking about investing in the company via Brightspark. This is where the special privileged relationship comes in. I have a huge personal conviction on InVivo’s founding team because I worked with them and we spent time together. I know for a fact that these founders have really good shot at winning in the market that they are attacking. On the other side, they trust me equally because I worked with them so they know who I am as a person, what my work ethic is like, and how I create value for them. Proprietary deal flow comes from these win-win relationships. It’s why the InVivo founders came to Brightspark to look for investment, and that’s why we backed them. These special relationships don’t have an immediate pay-off, but carefully building them often results in proprietary deal flow years from now - you never know! One thing is for sure, being a VC is a relationship and long-term business. This transcript has been edited and condensed to make this blog post an easier read. Want the whole interview? Listen here.